The actor-turned-politician had asked Karnataka to follow the Supreme Court order on sharing the river water. Kumaraswamy is all set to take oath as the Karnataka chief minister on Wednesday. His stand on the Cauvery row is similar to that of the previous Siddaramiah-led Congress government. Earlier this month, the Siddaramaiah-led government had filed an affidavit saying that it had already provided 116.697 tmcft (thousand million cubic feet) of water to the neighbouring state till April even though it was a “distress year in the Cauvery basin” for the third straight year. The affidavit was in response to Tamil Nadu’s claim before the court that the state could easily spare 4 tmcft for May. Incumbent Karnataka Water Resources Minister MB Patil said the state could not provide water as the storage level in all four reservoirs in the Cauvery basin was just nine tmcft, which was not enough even to fulfil the needs of the state. “We will direct the legal team to communicate about the poor water storage situation in our dams to the Supreme Court,” he had said. The Cauvery water sharing dispute has been going on for 22 years now. Tamil Nadu and Karnataka had moved the Supreme Court against the 2007 Cauvery Water Disputes Tribunal’s ruling. The tribunal allocated to Tamil Nadu 419 tmcft of the 740 tmcft of water available in the Cauvery basin. Karnataka received 270 tmcft of water, while 30 tmcft went to Kerala and seven tmcft to Puducherry. The Centre notified the tribunal’s order in 2013. In February, the Supreme Court directed Karnataka to release 177.25 tmcft of Cauvery water per year to Tamil Nadu and asked the Centre to set up a Cauvery Water Management Board by March 29. It later extended the deadline to May 3. 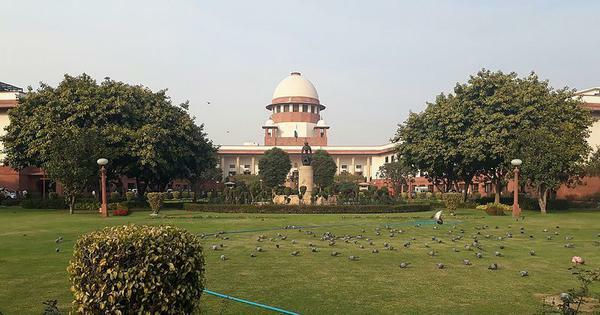 On Friday, the Supreme Court accepted the Centre’s draft scheme on sharing of the Cauvery’s water that was submitted on May 14. The scheme, once finalised, will regulate the amount of water released from Karnataka to Tamil Nadu, Kerala and Puducherry.